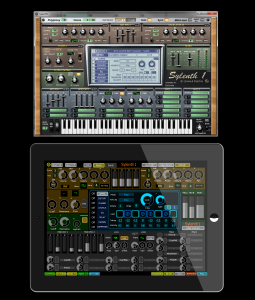 Check out our our new template for PULL – for the amazing VSTi synth Sylenth1 – The Virus of softsynths! With this you get an xPlugin, which allows you to control every single parameter of Sylenth. Of course you get the XY pads that our other synth templates have. However, more importantly, with this new style of xPlugin you can navigate and load FXB (banks) and FXP (presets) files – all from your touchscreen! Just simply give Sylenth xPlugin a folder where you have stored FXB and FXP files for Sylenth (bung them in and order them how you like). So much quicker than using a boring old mouse – and really brings the fantastic Sylenth to life.